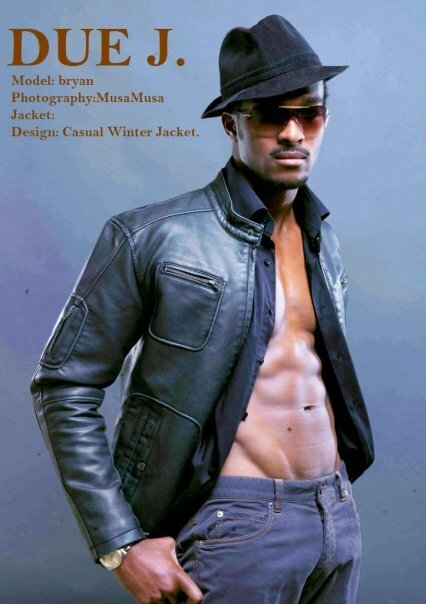 Bryan Okwara - Ex-Mr Nigeria. It's Photoshop liquify Filter at work. I can't wait to see comments on this post. I'm lmao already! Btw....am I the only pesin who thinks Linda always notices what's happening down south? It seems he is swollen o. Linda self. The kain things wey her eyes dey see. LMAO @ Myne's comment. That's some truth right there. I agree, he is swollen from the stuffing. PS: Thanks for your reply. ...na wahh for u Linda..u sabi see prick..!! dis guy must be feeling a lot of pain in dat pant!